This study aims at describing the prevalence rates of antimicrobial drug resistance amongst non-typhi Salmonella and E. coli strains isolated from backyard farm poultry, and to relate these rates to antimicrobial usage in animal husbandry in rural Vietnam. In addition, this study aims at estimating the relative contribution of antimicrobial drug usage in animal backyard farming to the antimicrobial resistance prevalence in the human population. Zoonotic diseases provide a significant disease burden worldwide. In addition to pathogens with a direct transmission to humans, the transfer of antimicrobial resistance (AMR) from the animal reservoir to humans is a continuous threat through transfer of resistant microorganisms, and/or through transfer of selected resistance genes between commensal bacteria (e.g. E. coli) from animals to humans. Antimicrobials are used in animal husbandry for therapeutic treatment and for prophylaxis. Although the use of antimicrobials as a growth promoter is banned in the EU, they are widely used on other continents such as Asia. Little is known about the use of antimicrobials in backyard farms, where the majority of animal husbandry takes place in Asia. 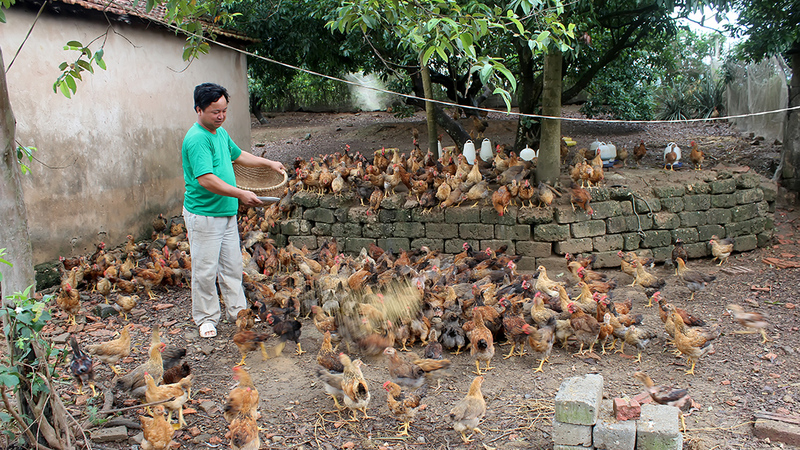 In this project, poultry farming in rural Vietnam is being studied, as a model for backyard farming in Asia. The availability of antimicrobial agents for use in treatment and prophylaxis as well as for growth promotion, the frequency and volume of use, and the costs, have not been studied systematically for backyard farmers in Asia. The prevalence of AMR in animals in backyard farms is unknown. It is also unknown to what extent interventions to reduce use of antimicrobials are needed and what kind of interventions would be necessary and feasible.